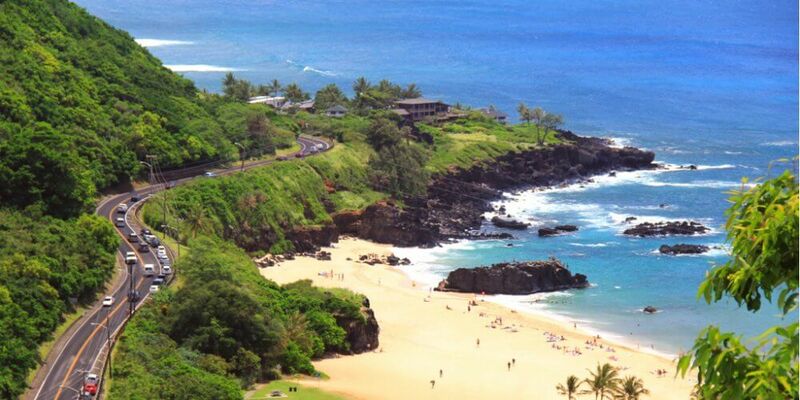 From world-class surfing to some of Hawaii’s best snorkeling, Oahu is a vacationer’s paradise. But it’s also a place steeped in history–home to Pearl Harbor and Honolulu’s rich historical district. If you’re planning a trip to the island, or even booking last minute, there are many incredible things to do during your vacation. Enjoy a classic Hawaiian luau on Waikiki beach, watch the sunset from a luxury catamaran or go on a dolphin adventure. Don’t miss our list of the top 10 things to do on Oahu! Watching the sun set from the water will remind you of why you came to Hawaii in the first place: to discover the beauty of paradise. But of course the sun doesn’t get all the credit here—once the show’s over, you’ll be stunned by views of the Honolulu city lights as they shimmer in the water’s reflection. 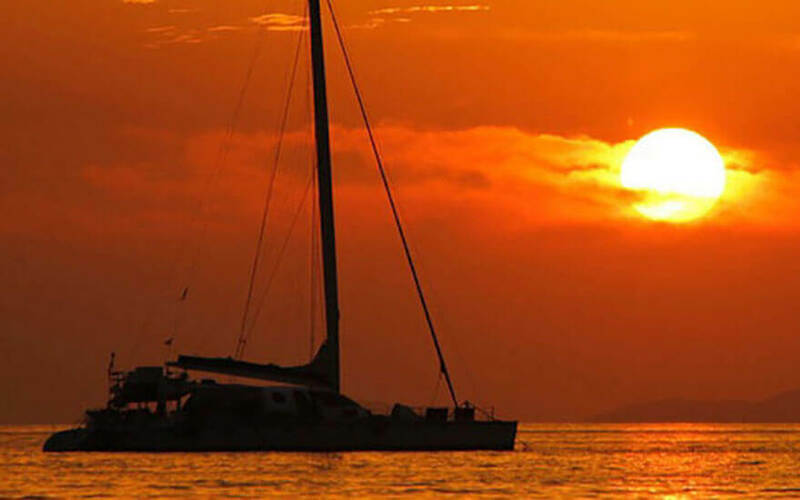 There’s no better way to enjoy a Honolulu sunset than on a luxury dinner cruise. Makani Catamaran departs from Kaka’ako, just west of Waikiki, and includes a delicious dinner buffet, one complimentary beverage, as well as a full cash bar. Check out our discounted advanced rates to save on your booking! Pro tip! If you’re looking to sail Friday night, check out their Friday Evening Fireworks Cruise. It’s not a Hawaiian vacation without a luau! And Oahu is known as having some of the very best luaus in all of the islands. Check out Diamond Head Luau, conveniently located a short walk from the Waikiki strip. 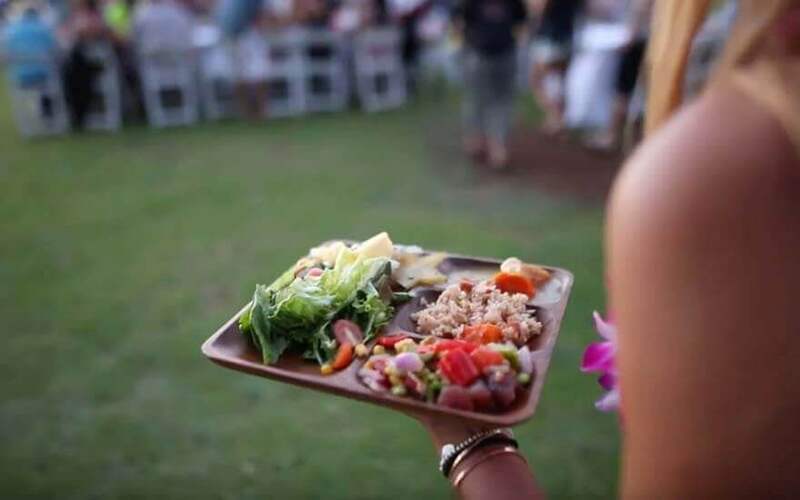 This beachside luau is famed for its farm-to-table buffet of incredible, locally sourced, authentic Hawaiian fare — so tasty! Entry also includes admission to the Waikiki Aquarium. Be sure to book early as this one fills up well in advance! Diamond Head has to be the most iconic location on Oahu. It’s an amazing site to see from Waikiki beach but you need to get up close to properly check it out. 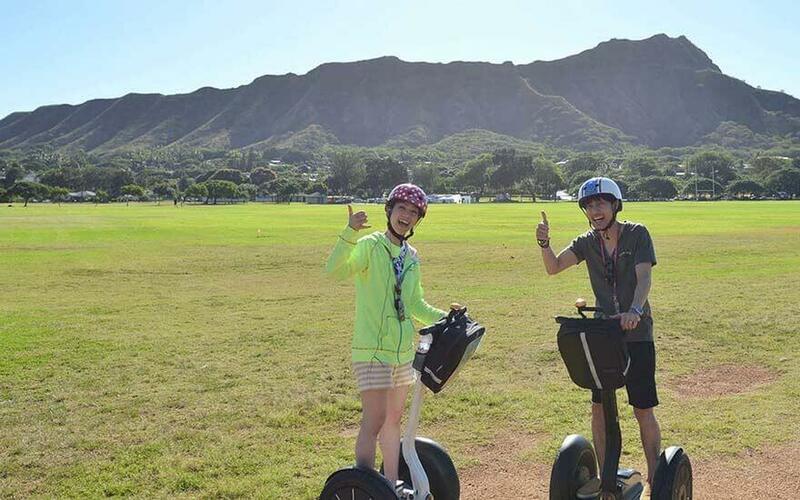 This Diamond Head Segway tour will take you there. After some brief instruction you’ll head out toward Kapiolani Park and make your way up Diamond Head road where you’ll see multi-million dollar estates. From there it’s off to lookout point to take in the stunning views of Koko Head Crater, Molokai and Maui in the distance. During the winter months you may even catch a glimpse of a whale as you head back to Waikiki gliding oceanside along Queens Beach Promenade. 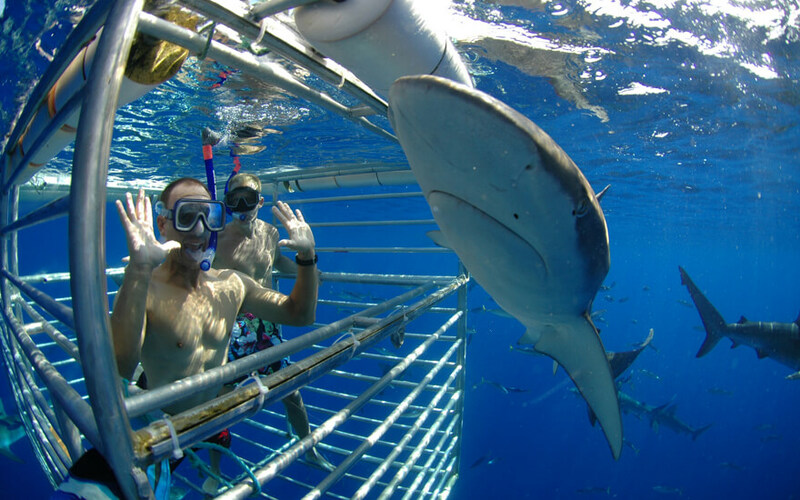 Give yourself a dose of adrenaline on Oahu’s North Shore on this shark cage experience run by Hawaii Shark Encounters, a tour company that specializes in education and ecology. As you climb into the cage, you’ll have a chance to encounter these incredible creatures up close and personal in their natural habitat. This is a small-group tour of no more than ten people and lasts two hours total. The objective is to shed a different light on these much-misunderstood aquatic creatures. One thing’s for sure—you’ll remember your experience for a lifetime! If you’ve always wanted to take to the skies in a helicopter there’s no better place to do it than Hawaii. Imagine the incredible contrast of blue ocean and vibrant mountain views from above. Mauna Loa Helicopter Tours offers an incredible 1 hour Private VIP Tour for up to 4 passengers where you’ll see Diamond Head, the North Shore, Jurassic Valley, and fly over Pearl Harbor on your way back. If you prefer, you can also check out their shared seating tour for the same views at a lower price. This one is definitely bucket list worthy! If swimming with dolphins in the wild is on your bucket list, this one’s for you. Dolphin Excursions offers daily cruises along Oahu’s leeward coast, led by seasoned island naturalists with years of experience on Oahu. They’ll take you out to the natural habitat of the beloved Hawaiian spinner dolphins. Watch these spectacular creatures perform superb aerial stunts (for which they are named) and have a chance to passively interact with them in the water. Dolphin Excursions also offers afternoon Whale Watching Tours during the winter months. There’s a reason the North Shore is surfer central. Famed for its waves reaching up to 30 feet, Oahu’s North Shore is home to annual international surfing competitions and some truly fearless surfers. But don’t worry, there are plenty of sheltered bays along the coast perfect for beginners. Check out Sea & Board Sports in Haleiwa for the ultimate North Shore surfing experience. If you’re in the Waikiki area, Gone Surfing Hawaii has reasonably priced 2 hour lessons which assign an instructor exclusively to your group of 2 – 3 people. If you’re solo, you can also check out their private lessons. For those staying in the Kapolei area, check out Surf HNL Kapolei for the closest option to you. They offer private, semi-private, and group lessons in 1 or 2 hour durations. 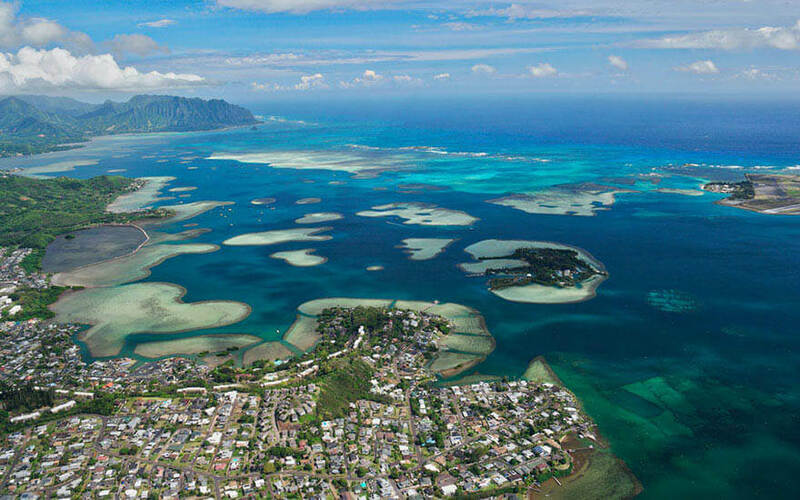 Taking a Circle Island Tour is a must-do on Oahu. 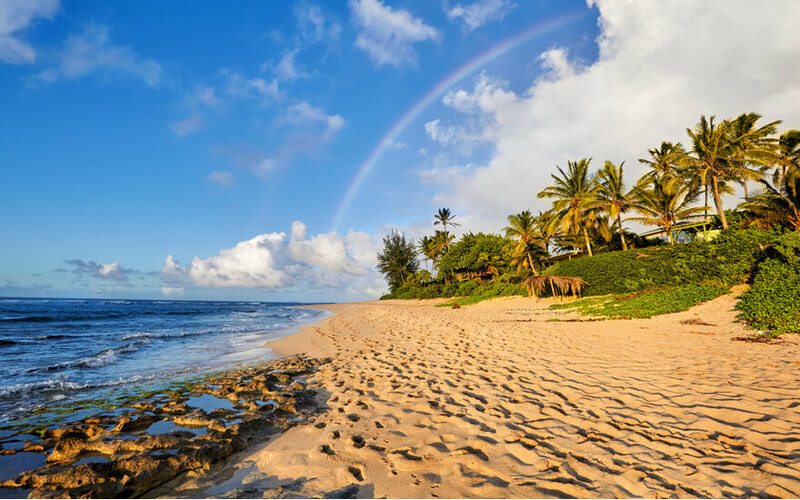 From the glitz and glamor of Waikiki to the laidback surfers’ paradise on the North Shore, exploring the island from coast to coast is the best way to get the most out of your trip. Check out this island tour—you’ll visit Diamond Head, the Halona Blowhole, Makapu’u Beach, Sunset Beach, and more. 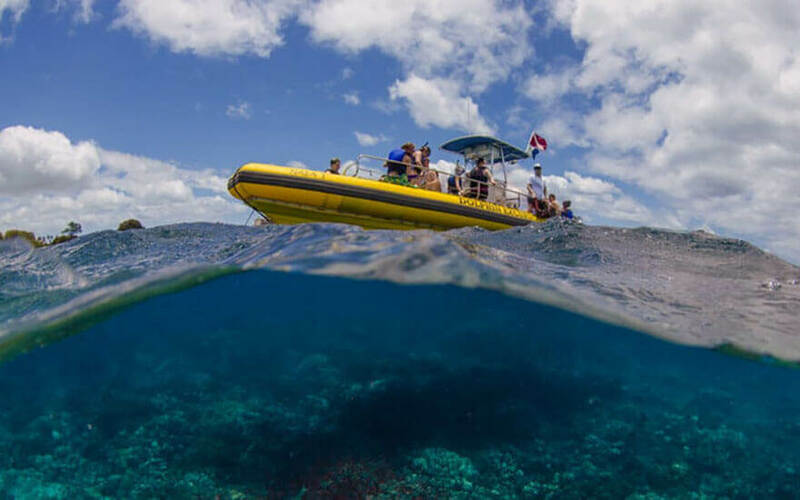 This is also the only Circle Island tour on Oahu that includes snorkeling with sea turtles on the North Shore! Not all snorkeling destinations are created equal. 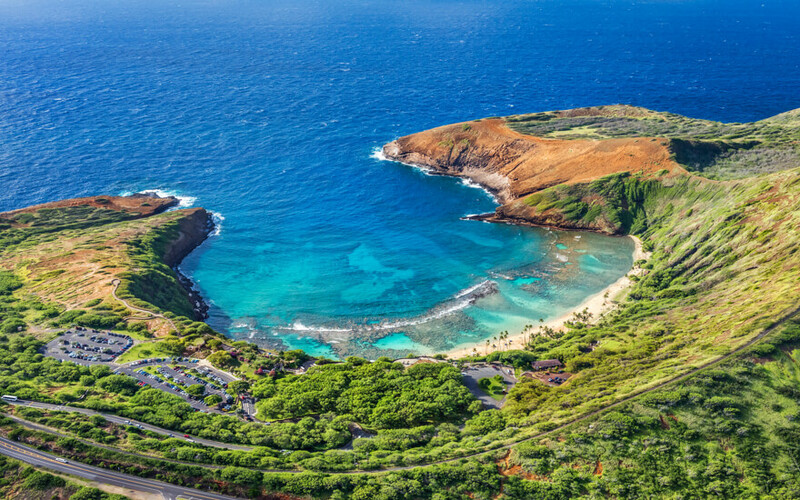 On Oahu, look no further than Hanauma Bay. This extinct volcanic crater is a rich bed of diverse marine life and arguably the best place to go snorkeling in all of Hawaii, let alone Oahu. You’ll see Hawaiian sea turtles, colorful butterfly fish, the conspicuous convict tang, and the famed reef triggerfish, also known as humuhumu-nukunuku-apua’a, or the Hawaiian State Fish. It’s only a 30-minute drive from Honolulu but we recommend reserving a snorkel tour. They’ll drive you out there, provide all the gear, and guarantee park entry. If you drive yourself you may get turned away if the parking lot is full, which some days can happen as early as 8am! A visit to Pearl Harbor is a must during your time on Oahu. Explore the historic museums, watch live footage from the attack, and climb abroad a Balao-class submarine, the USS Bowfin. But the real show-stopper is the USS Arizona Memorial, an iconic white structure built directly over the final resting place of the USS Arizona. 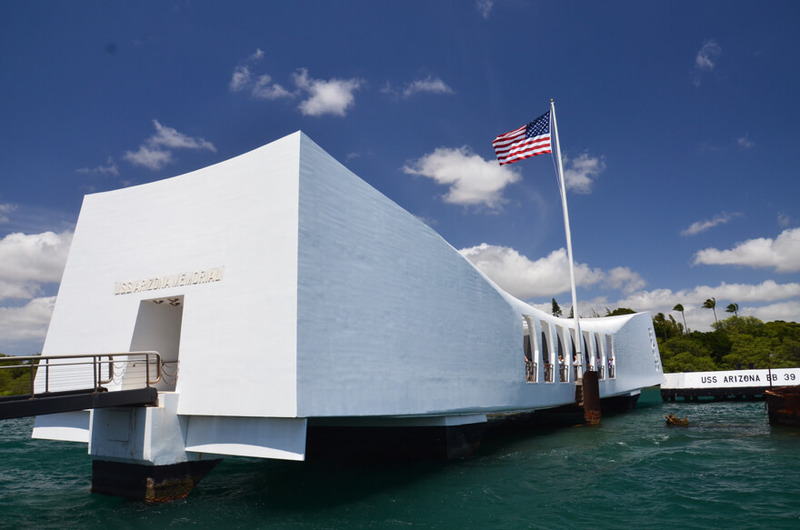 You need to take a short boat ride to get to the memorial, and tickets are limited, but this is the part of the experience that brings you closest to the tragedy that occurred on December 7, 1941. We recommend visiting the memorial in a small-group tour—not only is transportation included, but you’re also guaranteed a spot on the boat over to visit the memorial. They also stop at Leonard’s Bakery for tasty malasadas on the way! What’s the point of a Hawaiian vacation if you don’t try something new? 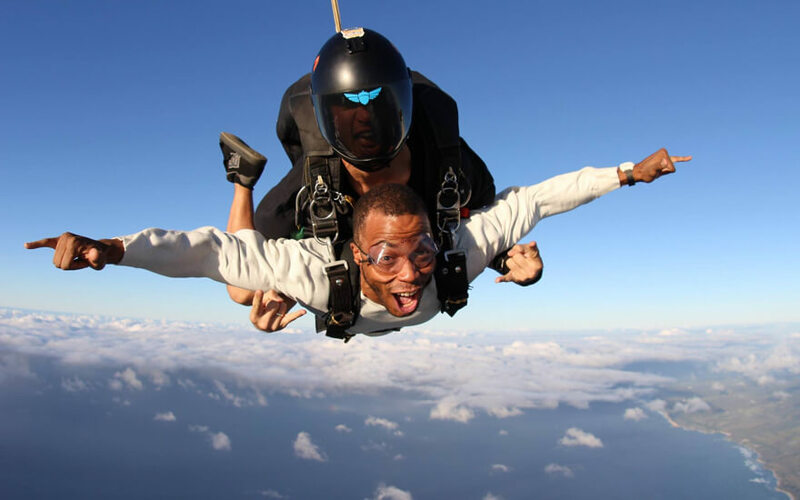 If you’ve had skydiving on your bucket list, Oahu Parachute Center is ready to help you take the leap. Located in Waialua, they offer return transportation with Waikiki pickups. Check out their tandem skydive where no experience is necessary! Enjoy a full minute of freefall before popping the chute and enjoying a 4–5 minute canopy ride above Oahu’s stunning North Shore. One thing’s for sure—this is an experience you’ll never forget. We created the Hijinks Hawaii Facebook Group to provide support and guidance on Hawaii tours, activities, and adventures. Whether you’re an experienced Hawaii traveler, a local with insight to share, or a first-time visitor to the islands, you’ll find advice, special offers, and a community of passionate people ready to help. Join us now!